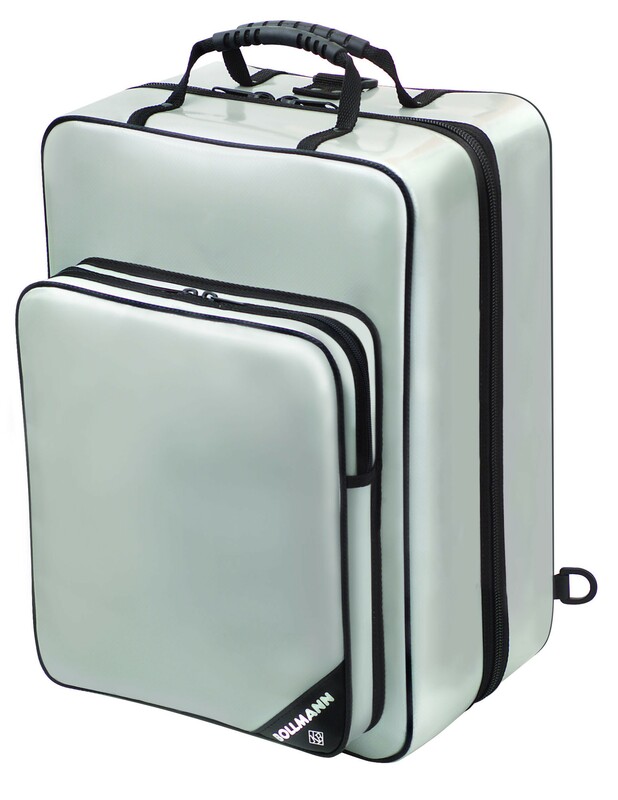 The doctors bag Bollmann Promed has four removable clear view boxes plus safe storage for one Oxygen bottle. 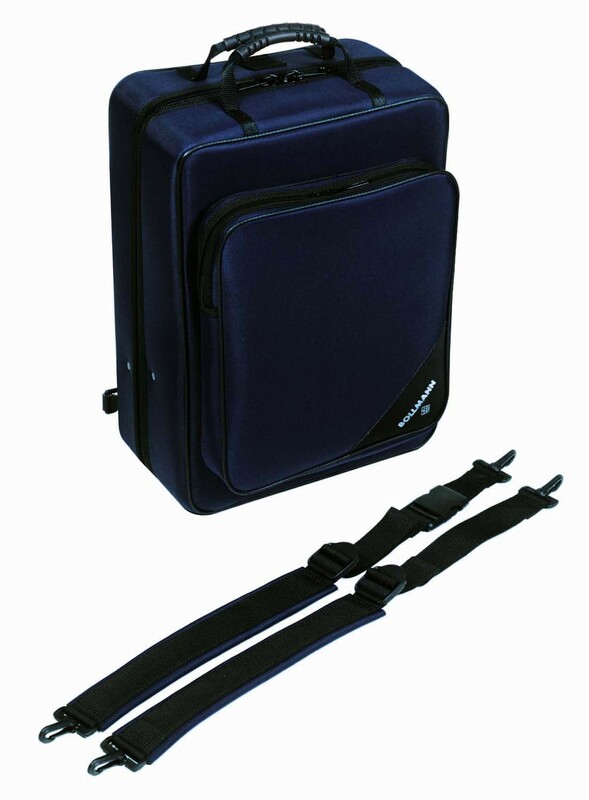 The doctors bag Bollmann Promed has four removable clear view boxes plus safe storage for one Oxygen bottle (0,8 l). 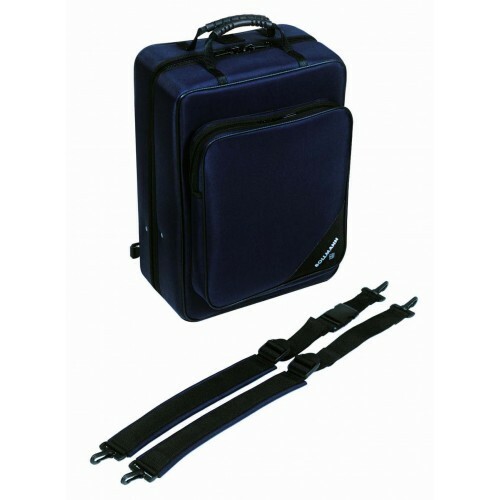 The other space features a solid integrated plastic insert with adjustable compartments. 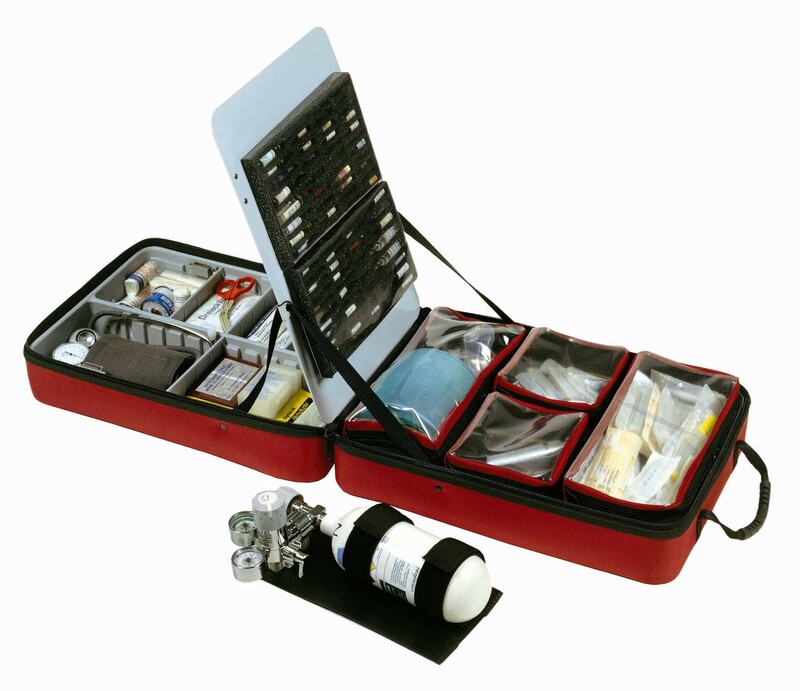 Two separate ampoule trays to hold 74 ampoules on cover plate wich lifts automatically when opening the case.